I do this to myself way too much. I choose a bold new never-before-tried thing to cook when it’s a big holiday and I have guests. Then I fret the entire time over whether or not I can pull it off. Once aged, trim off the leathery and any moldy parts. Take a small amount of olive oil and coat the entire roast. You can use extra light for this but I personally love the flavor of olive oil so I used regular. 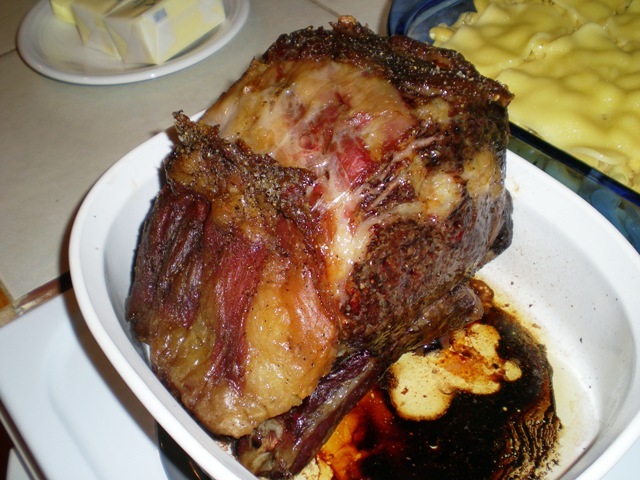 Rub the roast all over with sea salt and the fresh pepper. Let the roast sit for no less than 30 minutes. Carve it off the bones. Then carve out steaks. 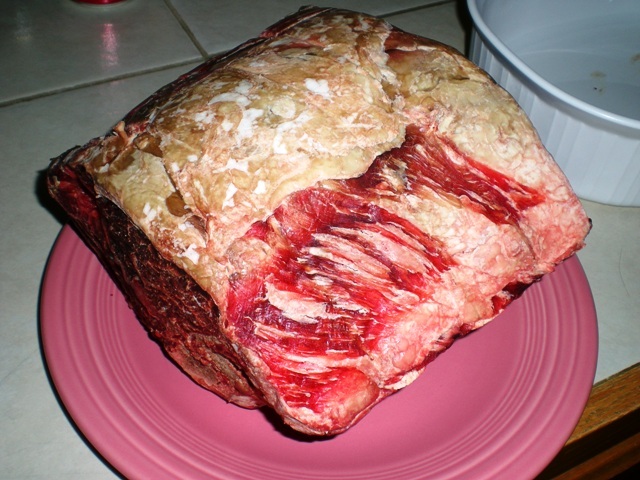 You should end up with a fantastic juicy cut of prime rib that, depending on the quality of meat you started with, is almost indistinguishable from an expensive chophouse cut of rib. Enjoy!